Lisbon, the capital of light, lays along the right bank of the River Tagus (Tejo), keeping to itself the mystery of both those arriving and those departing. With its twenty centuries of history, it is a city that sails through time, remaining forever vibrant and cosmopolitan. 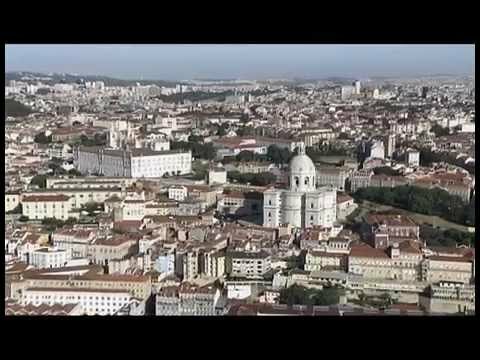 A city with a soul, it combines the charm of the narrow cobbled streets of its traditional quarters such as Alfama and Mouraria with the hustle and bustle of its busy avenues (Liberdade), fashion and design neighbourhoods (Bairro Alto and Principe Real) and the new urban development of Parque das Nações. The only capital city in Europe where the sun sets over the sea, Lisbon is a city of contrasts in which history and modernity coexist harmoniously by the side of the river. The Mosteiro dos Jerónimos and the Torre de Belém (our most famous monuments) are neighbours of Centro Cultural de Belém and the Berardo Collection Museum (contemporary art you should not miss). The sun-coloured trams are an original way of discovering the real heart of the city and the many stories that lie hidden there. The tile-covered façades of its buildings tell stories in all kinds of different colours, while the cobblestones of the pavements draw black and white pictures of fish, flowers, mermaids and birds. In Bairro Alto, one of the city's oldest and liveliest quarters, there are bars, restaurants, design and fashion shops, all standing side by side with "tascas" (taverns), where you can listen to Fado, the music in which the Portuguese soul sings of its fate. Close at hand is Chiado, one of the city's most charming quarters and the centre of its cultural life, with its theatres, bookshops and cafés with long literary traditions, such as the Brasileira, where the poet Fernando Pessoa sits waiting for you on the terrace outside. But you need time for Lisbon because the nearby Sintra and Cascais also deserve a visit. Both less than half an hour from Lisbon (either by car or train) makes them ideal for a day long visit. Sintra is the most romantic place you will ever visit, with Pena Palace on top of the hill, the Moors Castle, a handful of other palaces and gardens which you can chose from and most of all you will love to walk around the streets and local shopping, resting for a coffee and "Travesseiro" (cake) at famous Piriquita. You should then go on to Cascais (on the way you will find Cabo da Roca, the most Western place in Europe! ), formerly a fisherman's village but now a modern lively place. Here you can also find out more about European Royal families who used to live here during the 20th century and still come often, all before heading back to Lisbon with the river by your side.